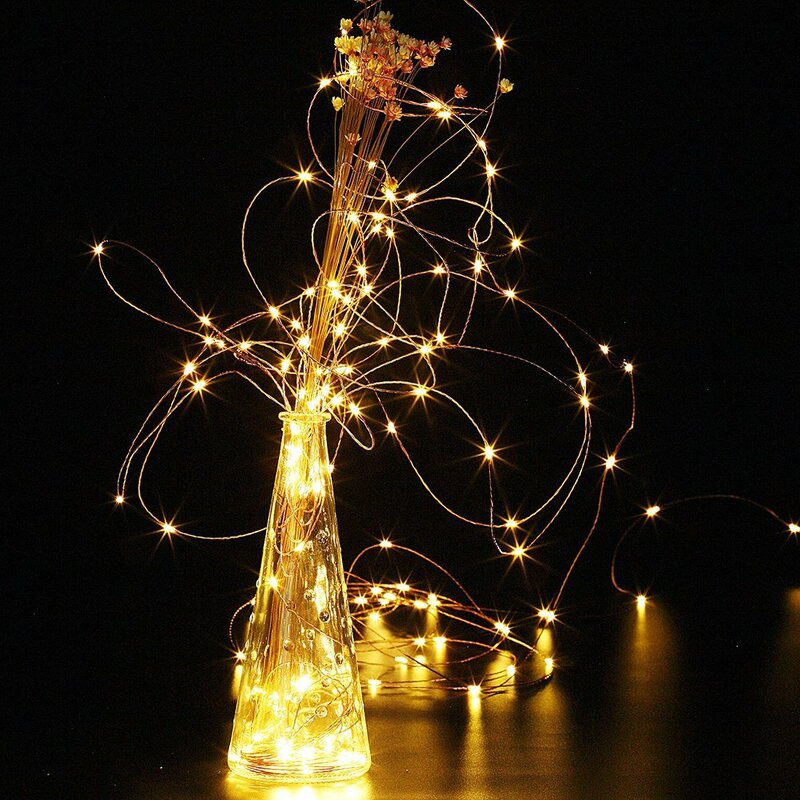 Decorate your life and home with the GDEALER Fairy String Lights. 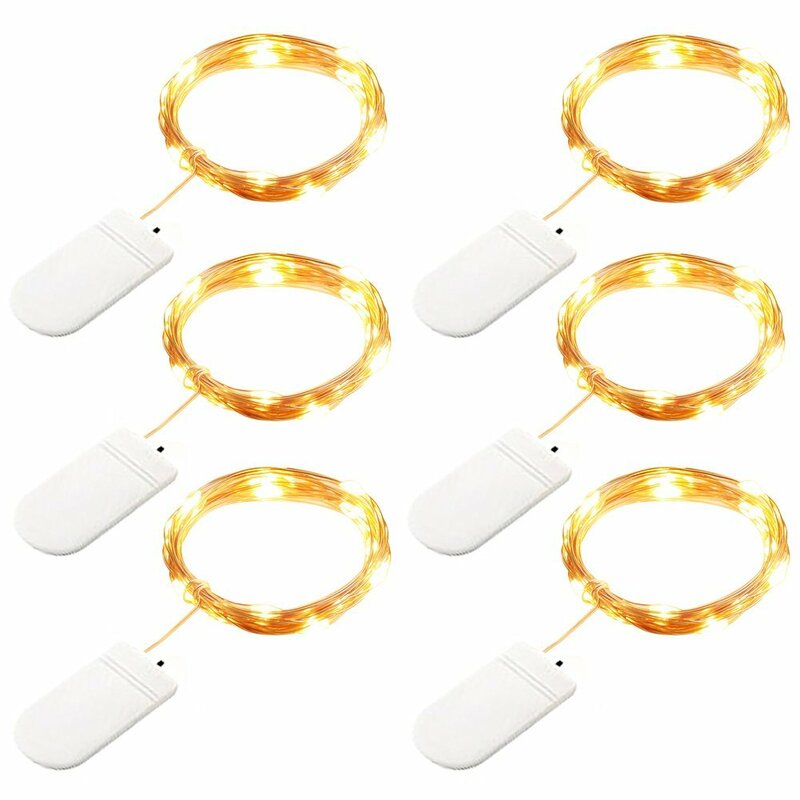 This battery copper wire light is really “Hot” in this Summer and Autumn. 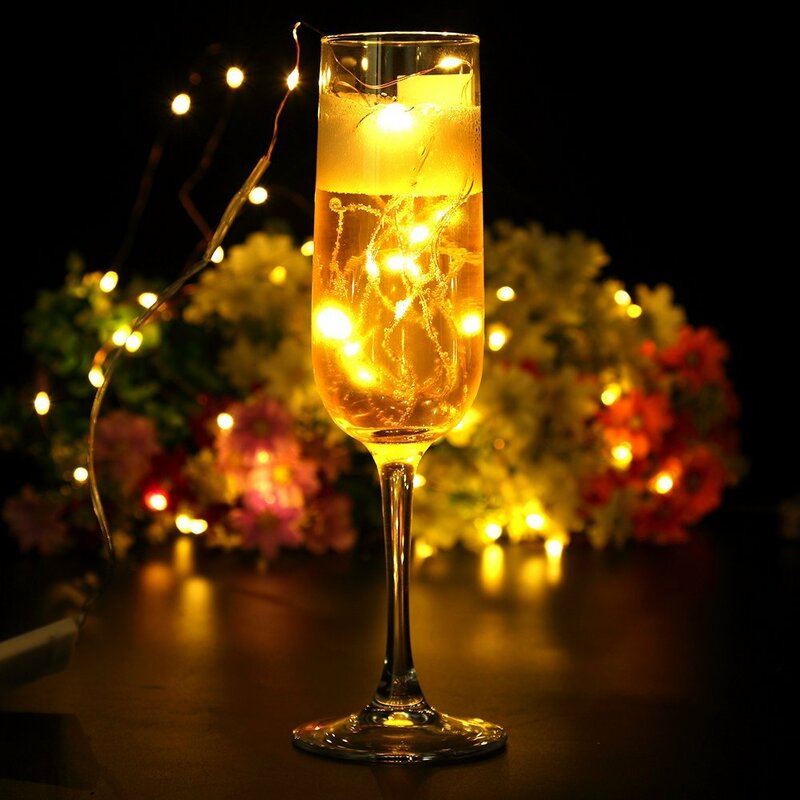 It looks like many beautiful fire flies when you put the lights in the glass jar. The copper wire is flexible, you can bend it to any shape or wrapped it on anything you want like wreaths, trees, flowers , weddings with bouquets. 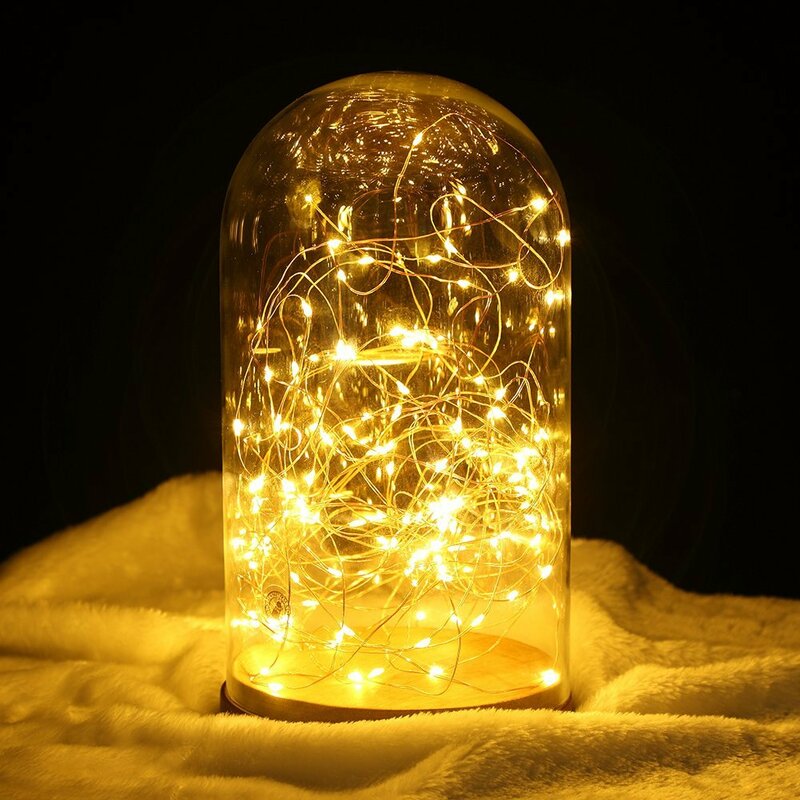 There are many creative ideas of the starry lights for your patio, deck, front porch, room, kitchen, garden. 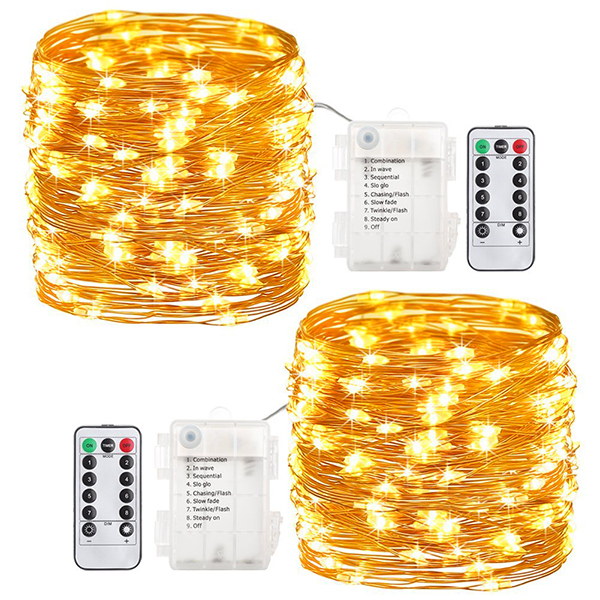 *****This warm white battery string light is made off 20ft copper wire and 1ft leading wire and tangled by a card, it include 60 led bulbs,the distance of two bulbs is 4.5inches. *****You can turn on/off the lights and change 8 modes by pressing the button on the box. And use the hook on the top of the battery box to hang it on the wall. *****If you install 3 AA new batteries, the lights will operate 48 hours in steady mode( the batteries not included in the package). *****We offer a remote to make things easy, the CR2025 battery is installed in the remote. You can use it to turn on/off the lights, change modes, adjust brightness and set timer. *****The copper wire and led bulbs is low heat emission and safe to touch after many hours of usage.